Canada’s healthy-eating guide fights to stay relevant – Run For Your Life! Tis the season. Turkey. Stuffing. Mince meat tarts and more. Many of us worry about that extra helping during the holiday season. And so I was interested to read this on Canada’s story on the BBC site today! I was especially pleased to hear Dr Ian Mosby’s thoughts! He visited the University of Saskatchewan before I left in August 2016 and he was extremely informative and generous with his time – for both faculty and grad students alike. Since World War Two, the Canadian government has been telling people what to put on their plate to stay healthy. But with obesity rates on the rise, is it time to start focusing on what to leave off? Canada’s food guide first appeared in 1942 under the title Official Food Rules and was originally created to help Canadians stay strong and healthy despite meagre wartime rations. The guide recommended drinking fruit juice, loading up on bread and eating plenty of liver. Over the years, the publication has used many designs to illustrate the different food groups. 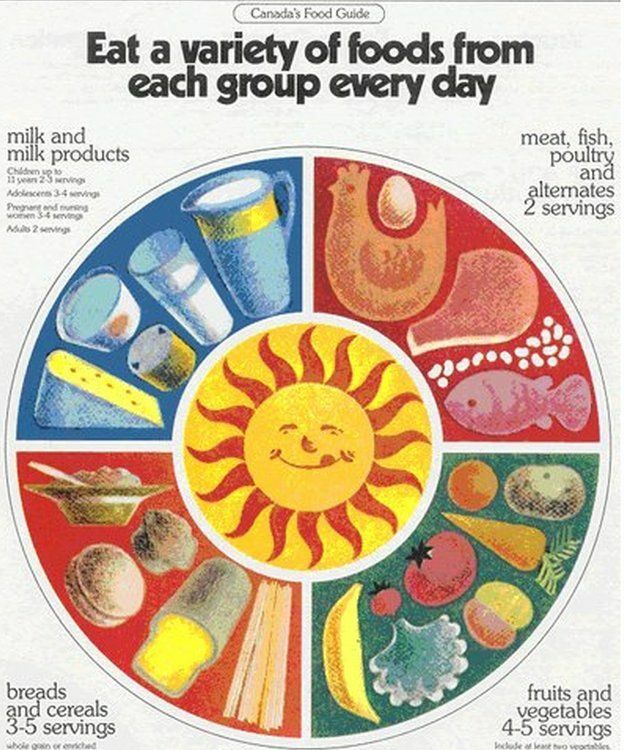 In the US, the “food pyramid” became an instantly recognisable illustration of nutritional categories but Canada switched from a “food wheel” to a “food rainbow”. The Canadian government used to be concerned about people getting enough food, now it’s worried people are getting too much. In the new year, Health Canada will start drafting a new food guide aimed at getting people to eat less. Despite the commitment to changes, food historian Ian Mosby says the guide may have simply outlived its usefulness. When the Canadian government released its rules for healthy eating in 1942, it was marketed as a guide to “health-protective foods”. The rules laid out the bare minimum that a person should eat in order to stay nourished. “Eat more if you can,” the rules advised. Daily servings of Vitamin-C rich citrus fruit or tomatoes were advised, along with weekly servings of liver for iron. Food was expensive in the 1940s and 1950s, and overeating was a luxury few experienced. According to a 1955 survey of household spending, the average family spent about 30% of their earnings each week on groceries, the bulk of which was spent on meat and dairy products. But by the 1970s, rising incomes and the growing commercialisation of food had completely transformed how people eat, says Mosby. Sugary cereals, trans fats and TV-dinners became a staple of many people’s diets. As the price of packaged foods high in sugar and salt plummeted, overconsumption became a bigger problem. The government could no longer just tell people what they should eat, they had to tell people how much. 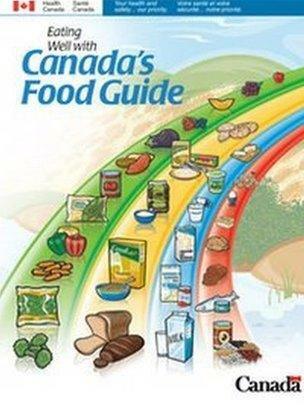 Consequently, the old black-and-white list of Official Food Rules got a Technicolor makeover and was transformed into Canada’s Food Guide, a consumer-friendly guide for making better food choices. Critically, a warning to eat sugar, fats and salts in moderation was added in 1982. But Canada’s overeating problem didn’t go away. Since 1985, the obesity rate has tripled. Canadians are spending less and less on food overall, but more on eating out and sugary beverages. It’s possible, food historian Mosby says, to be both obese and malnourished. And be sure to look at my other posts and articles on weight loss, diet pills, and health! Previous Post NORTEP, Bodies of Education, and Family History.